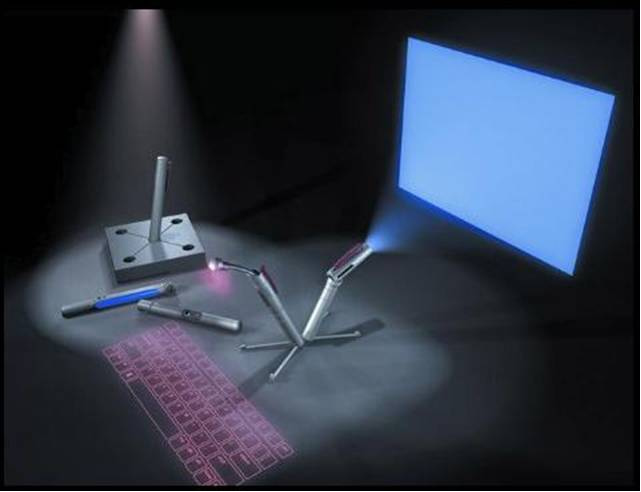 5 pen technology is also known as P-ISM (“Pen-style Personal Networking Gadget Package”).It is the gadget package of 5 functions of the PC they are a CPU pen, communication pen with a cellular phone function, virtual keyboard, a very small projector, and a camera. These pens are connected through short-range wireless technology. The whole set is also connected to the Internet through the cellular phone function. Further clarification of each pen is given bellow.. The functionality of the CPU will be performed by one of the pen so, it is known as Computing engine. It consists of dual core processor and it works with WINDOWS operation system. The central processing unit carries out each instruction of the program in sequence, to perform the basic arithmetical, logical, and input/output operations of the system. It also consists of Control Unit, Micro Processor, Operations, Clock rate and Performance. These pens are connected with each other with tri-wireless mode like blue tooth,IEEE 802.11,cellular network . These are connected through internet using cellular phone function. These pens are used with the frequency of 2.4GHz ISM. IEEE 802.11 is a set of standards for implementing wireless local area network (WLAN) computer communication in the 2.4, 3.6 and 5 GHz frequency bands. The VKB emits laser on to the desk where it looks like the keyboard having QWERTY arrangement of keys i.e., it uses a laser beam to generate a full-size perfectly operating laser keyboard that smoothly connects to of PC and most of the handheld devices. Physical keyboards with distinct keys comprising electronically changeable displays integrated in the keypads. Virtual keyboards with touch screen keyboard layouts or sensing areas. Optically projected keyboard layouts or similar arrangements of “keys” or sensing areas. Optically detected human hand and finger motions. This Pen is used as Web Cam and also connected with blue tooth. It is a 360 degrees visual communication device. A digital camera (or digicam) is a camera that takes video or still photographs, or both, digitally by recording images via an electronic image sensor. Most 21st century cameras are digital. The role of monitor is taken by LED Projector which projects on the screen. The size of the projector is of A4 size. It has the approximate resolution capacity of 1024 X768. Thus it is gives more clarity and good picture. They used many Projector technologies. Here are the 2 types of LED projections they are conventional (using discrete LEDs) and surface-mounted device (SMD) panels. Makes use of Wi-Fi technology. Touch and feel the technology.